1. Customer is responsible for choosing the Airline, Hotel and other services in connection to the package they want to avail. Promo Rates and or Promo Packages is limited to participating Airline Company, Hotel Accommodations and other services included in the Promo. Change of Airline and/or Hotel Accommodation is possible, different rate will apply. 2. Promo Rates that is advertise is usually available during the weekdays, checking the availability of the Promo Rates on target travel dates is customer's responsibility. Travel Ventours will provide the most affordable package on your target travel dates if promo is not applicable on those dates. 4. Promo Rates are base on the cheapest flight time, we book the earliest onward flight time and the latest return flight time provided by our Partner Airlines for their Promo. Change of flight time is available with the same rate, but some flight time changes may have a different rate. Always check for availability. 5. Our Promo is the most affordable Travel Packages in the Market, your next vacation, need not to be expensive. 1. It is the customer's responsibility to review the Airline, Hotel, Package Inclusions, Flight Time, Limitations, Restrictions and other information needed before making the payment, an email with all needed information about the package is sent for customer's approval. We highly recommend that you call Travel Ventours for more information and/or clarification in regards with the package you are interested in before you make a payment. 2. Reservation, Airline tickets can be reserve up to 4 hours depending on the Airline company and Hotel booking can be reserved up to 24 hours. Change in rates is still possible during this time due to high demand and limited availability. Change in rate could be lower or higher. 3. Payments should be made in full, once payment is received and confirmed, we will send the following: ETICKET if airfare is included, Hotel Voucher, Transfer Voucher and other voucher applicable in the package. Files are in jpeg and pdf format. Please print all vouchers to be presented to Airline, Hotel and Transfer Company. All vouchers will be sent via email with in 24 hours. 4. It is the customer's responsibility to provide complete and accurate information about the participating individual. Providing wrong information like name spelling, birth date and other information required that will incur penalties or fees will be on customer's account. 5. By processing payment you agree to be legally bound to these Terms and Conditions which shall take effect immediately once we receive the payment. If you do not agree with the Terms and Conditions, please do not process any payment. 6. Passenger is required to immediately review all aspects of their booking to verify (but not limited to): passenger names, mailing address, email address, telephone number, date of birth, pricing, airfare, arrival/departure airports, accommodations, and organized activities on your booking receipt. Please notify WTA immediately if any omissions and/or corrections are needed regarding the booking details. Passenger(s) voluntarily assumes full & sole responsibility for any and all risks and/or costs involved with failure to report such errors and/or omissions. Passenger is required to verify the accuracy of the passenger’s LEGAL first & last names. It is mandatory that guest names be identical to the Passenger(s) LEGAL first and last names and identical to the names as they appear on booking and travel documents. For cancellations, if refund is available, it will be base on the amount that the airline, cruise ship, hotel, transfer company and other company involve that will provide a refund, the total amount given by companies mentioned will be forwarded in full to the person who made the payment. For rebooking or rescheduling, if applicable, it is subject for Hotel and Ticket rebooking fee, ticket price difference will be shouldered by the customer and will be charge a processing fee of Php300/person. New travel dates is subject for availability. If a customer does not appear on the reserved flight and/or hotel reservation date, the booking will be forfeited and NO REFUND WILL BE ISSUED. 1. All information obtained by Travel Ventours from its participants will be use for reference and identification. If any information provided is invalid or false, Travel Ventours will not be liable. 2. All information provided by participants will be kept confidential unless the need to disclose information to proper authorities is necessary. 1. I am fully inform and otherwise aware of and acknowledge that activities like trekking/caving/surfing/island hopping/snorkeling/diving entails known and unanticipated risks which could result to accidents and injuries that can be caused by weather conditions, unpredictable terrain, force of nature and other unforeseen elements that we cannot prepare for. 2. Agreement to assume voluntary participation in spite of risks on activities and will not hold JAB Travel Ventours from any and all claims, demands, or causes of action which are in any way connected with your voluntary participation. 3. 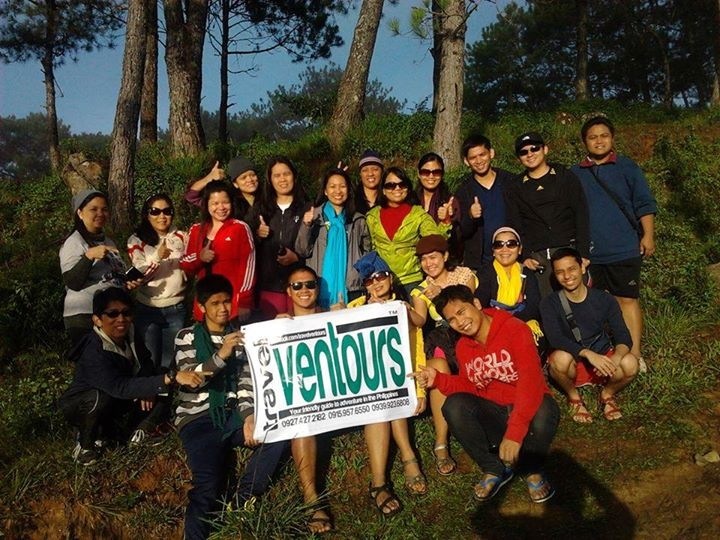 JAB Travel Ventours shall not be liable for any accidents that will happen to the participant throughout the trip. However, Travel Ventours shall facilitate medical assistance. 4. JAB Travel Ventours shall not be liable for any minor who joins the trip. They need to be supervised by an adult or be given parent’s consent. 5. JAB Travel Ventours shall not be liable for any pregnant, disabled or elders who join the trip. They need to be assisted by their own trusted company. 6. JAB Travel Ventours shall not be liable for any lost or damage of baggage and personal belongings. All participants shall be responsible for their own belongings unless stated otherwise. 7. JAB Travel Ventours reserves the right to refuse service to anyone under the following circumstances, which they will be asked to leave without refund. a. A participant becomes disruptive to the program and creates discomfort to other guests. b. A participant that disregards safety and becomes abusive [Verbally and Physically] to co-participants, driver, guide , tour coordinators/facilitator and other employees of companies involve in the package. 8. Participants have the right to discontinue or leave the trip if they need to do so, participants that decide to do so and has agreed to the terms and condition are/is still amenable with the arrangements and Terms and condition prepared by JAB Travel Ventours. 3. Initial payments must be paid at least two weeks before the scheduled or desired travel date. 4. Participants or a group who is scheduled or desired travel date is on a Holiday is required to make an initial payment two months before the travel date. 5. Participants or a group who is to make reservation less than one week the desired or scheduled travel date is required to make full payment. ***Initial Payment is used to make necessary arrangements and reservations in advance needed for the tour. ***Full payment should be made at least five(5) days before the departure. 1. Cancellation made one month before the scheduled or desired travel date - Php250 will be deducted to the initial payment. 2. Cancellation made two weeks before the scheduled or desired travel date - 50% of the initial payment is refundable. 3. Cancellation made less than two weeks before the scheduled or desired travel date. c. Private Tour - If a participant or a number of participants cancels and there is no proxy - The remaining participants is to shoulder the balance of the participant/s who cancelled. e. Scheduled Tour - If a participant or a number of participants from one of the group cancels and there is no proxy - The remaining participants from his/her group is to shoulder the balance of the participant/s who cancelled. f. Scheduled Tour - Initial payment is fully refundable if Travel Ventours cancels because the minimum participants required for the trip is not reached. Travel Ventours Reserve the right to cancel the tour if the minimum participant required is not reached. 4. If Travel Ventours cancel due to bad weather condition and/or/any unforeseen event, initial payment is non-refundable but transferable; Tour can be rescheduled within 180 days from the day the initial payment was made. 5. If a Participant or a group fail to pay the remaining balance five(5) days prior the scheduled tour. a. The group will be given 2 more days to settle the balance. b. If the participant or group fails to pay the remaining balance three (3) days prior the scheduled group tour the reservation fee will be forfeited resulting to the cancellation of the participant or the group’s reservation. 6. If a participant or a group is a NO SHOW/NO REPLY NO/ANSWER on the tour date it self. a. Private Tour – Travel Ventours will cancel service and no refund will be issued. b. 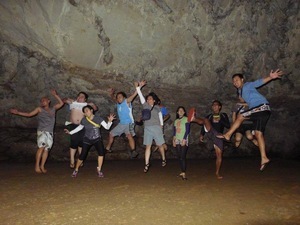 Scheduled Group Tour – Travel Ventours will proceed with the tour with the remaining participants on schedule. b. A participant that disregards safety and becomes abusive [Verbally and Physically] to co-participants, driver, guide and tour coordinators. 8. Participants have the right to discontinue or leave the trip if they need to do so, participants that decide to do so and has signed the terms and condition are/is still amenable with the arrangements and Terms and condition prepared by JAB Travel Ventours. I release JAB Travel Ventours [Travel Ventours] its owner, operators, coordinators, guides, agents and representatives from any and all liability for any personal injury, death, property damage or loss I may suffer as a result of my participation in their trip, for any cause whatsoever.